Bernard F. Eilers (1878-1951) was one of the leading Dutch photographers in the first quarter of the twentieth century. Along with Henri Berssenbrugge and Berend Zweers, Eilers was part of the second generation of Dutch pictorialists and his fine art prints were widely exhibited in the Netherlands during his lifetime. In 1911 he launched his business as a portrait and reproduction photographer. He was one of the Netherlands’ first commercial photographers, undertaking commissions for numerous clients including the Philips Company and Amsterdam-based architects and furniture makers. Around 1935, he created the photographic colour separation technique Foto-chroma Eilers, successfully producing prints of great intensity and depth of colour. Eilers works are held in numerous collections in the Netherlands, including the Leiden University Special Collections and Amsterdam City Archives. Colour photograph depicting a city street featuring storefronts and buildings lit by bright white, red, green and blue lights. Water on the street reflects the lit scene. Bernard F. Eilers (1878-1951) was one of the leading Dutch photographers in the first quarter of the twentieth century. Along with Henri Berssenbrugge and Berend Zweers, Eilers was part of the second generation of Dutch pictorialists and his fine art prints were widely exhibited in the Netherlands during his lifetime. In 1911 he launched his business as a portrait and reproduction photographer. He was one of the Netherlands' first commercial photographers, undertaking commissions for numerous clients including the Philips Company and Amsterdam-based architects and furniture makers. Around 1935, he created the photographic colour separation technique Foto-chroma Eilers, successfully producing prints of great intensity and depth of colour. 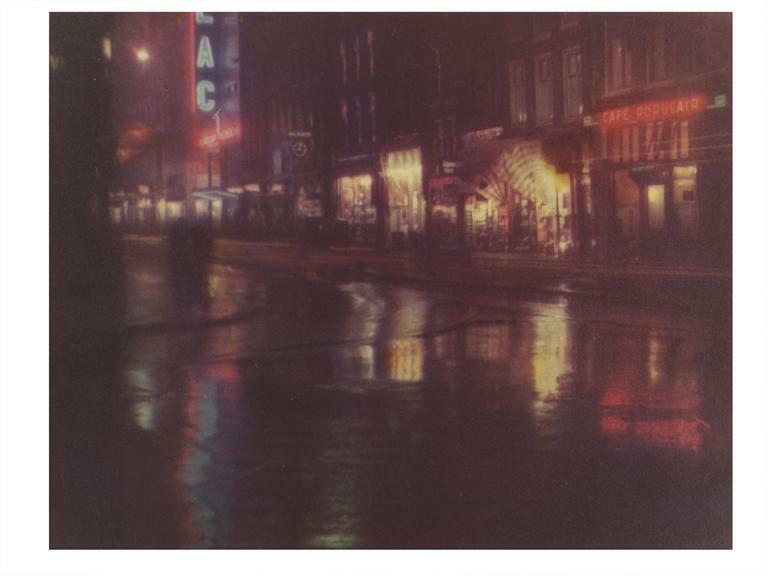 In the 1930s, the Dutch photographer Bernard Eilers developed an experimental new photographic colour separation process known as ‘Foto-chroma Eilers’. 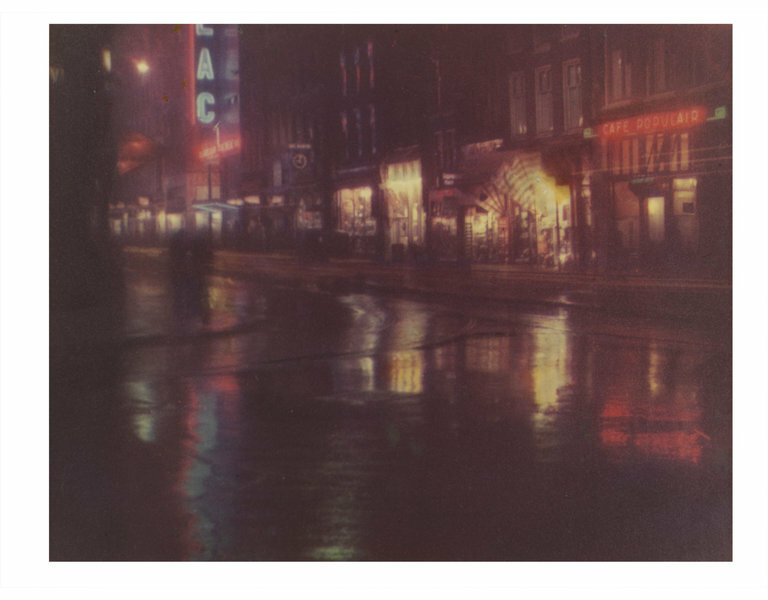 Although the process was short-lived, Eilers successfully used this technique to produce prints of great intensity and depth of colour. 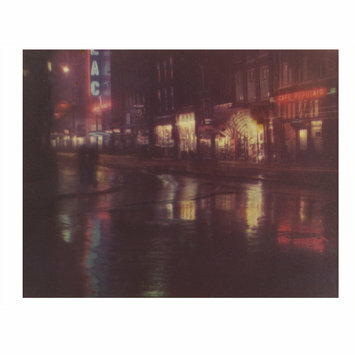 Here, the misty reflections and neon lights create an atmospheric but modern view of a rain-soaked Amsterdam at night.